If you want a completely customized wedding ceremony script and assistance organizing your ceremony, this is the professional service for you. I have been marrying couples for over 9 years and I’ve gained a lot of experience and accumulated a lot of knowledge over that time. I’ve taken much of what I’ve collected to create wedding ceremonies and I’ve put the information online for anyone to use. 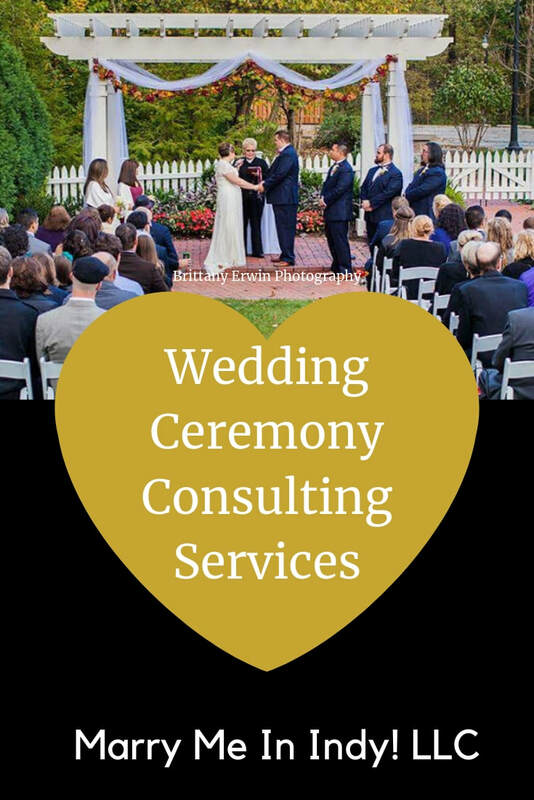 If you book a wedding ceremony with me, I provide you with a Google document with links to everything you need to either choose a prewritten ceremony or create your own. I’ve found that for most people, It’s enough. However, other people want someone to walk them through it step by step to help them create the perfect wedding ceremony for them. This service is included as part of my formal wedding ceremony package. However, it can but purchased separately. You can view my full wedding ceremony package here. Couples who hire me to marry them may not need a rehearsal or want to pay for it but they do want a personalized ceremony. So they purchase this. It includes a rehearsal checklist to help organize the rehearsal, so it can be a good deal. Have you chosen to have a friend marry you but you need a little help? 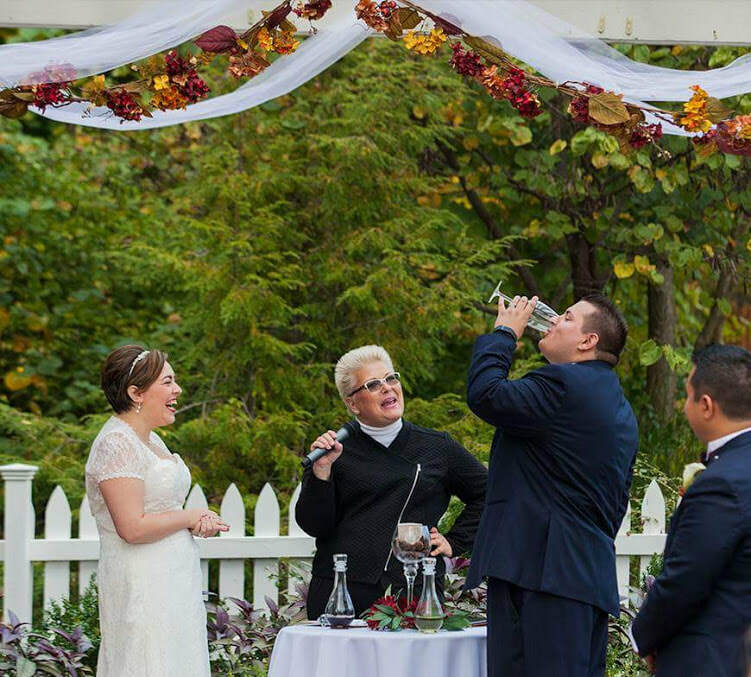 Some couples don’t want to hire a wedding officiant. They’ve chosen to have a friend or family member marry them. Some couples do that to save money, other do it because they really want that specific person to marry them. You can purchase this service and I will work with all three of you to create your ceremony and organize your rehearsal and make sure the person actually performing the ceremony feels comfortable. Did you agree to marry your friend and don't know where to start? If you are the person who agreed to marry your friends, and need help, I can work with you one on one. They don’t even have to know! 2, in person, meetings or video chats. A lot can be done over the phone or through email too. I use google docs, so we can literally be on the phone and on the document editing all at one time. I will work with you to help you understand how a wedding ceremony is created and help you to create your own. It can really help to have someone sit with you and go over it one on one. Just to give you confidence. We will go through the things you want to consider when planning your ceremony, do you want a moment of silence? What’s a unity ceremony? How do I make my parents happy without having an overly religious ceremony? We’ll take your family dynamics into the picture when we think about the ceremony and the rehearsal. Do you need any extra accommodations? ASL interpreters or the like? Will you have guests with special needs? How about unruly children? Will there be drunk people or people wanting to object? We’ll take into consideration your venue and any limitations they may have as well has great opportunities they provide. We will put everything together in one document so you will have everything you need. You can check out my wedding ceremony website, weddingceremonpro.com and my Blog Wedding Officiant Insider for more free information.